Thomas LaCorte was born in Detroit, Michigan in 1957. He moved to Florida with his parents in 1968 at the age of 11. At the age of 14 he started what was to be a lifelong career in Land Surveying. He spent the next 40 years of his life surveying the Florida wild. He draws from this experience in his debut novel “6 Miles With Courage” and is an award winning author and a magazine columnist. 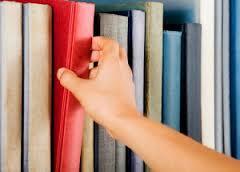 How did you incorporate your personal experiences into your book “6 Miles with Courage”? I pulled directly from my experiences of surveying the Florida-wild. I have spent over 40 years land surveying and mapping Florida from the everglades in the south to the swamps and deep creeks of the northern part of the state. How does writing a novel differ from other styles of writing? You have to stay focused on the long term goal of developing a good story of over 50,000 words. 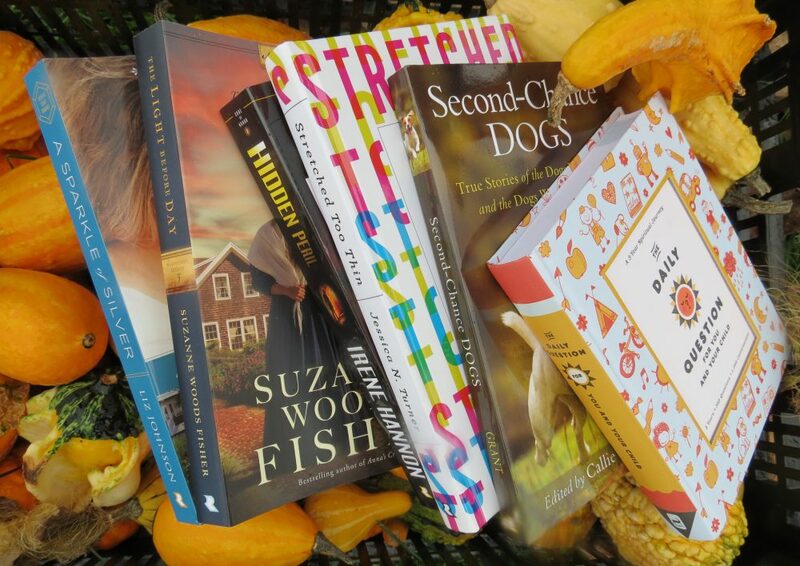 Fall short and you have a novella. How did you develop your characters? I used the relationships I had in life with friends and family for the main characters. But a lot of the interesting supporting cast just simply appeared out of nowhere. 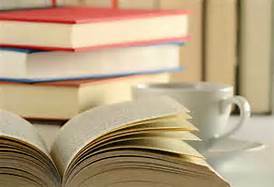 What was your biggest obstacle in writing this book? Facing the loneliness of writing a good novel. You have to shut yourself off from the world, live in and spend a good amount of time in the world you write in. It takes tremendous discipline. 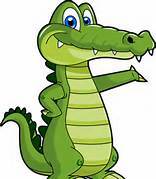 SO ARE YOU READY TO MEET SOME ALLIGATORS? High above the Florida wilderness 17-year-old Ryan and his father, a Professional Land Surveyor, are scouting a future job and enjoying a leisurely plane ride. Suddenly Ryan finds himself in for the ride of his life. After a low pass of the Oklawaha River, and the dangerous swamp below, the plane’s engine destroys itself in a major malfunction. Ryan’s father, Rob, must find a place to land within sixty seconds but it was not to be. He has but one choice. Fly it into the trees! Ryan awakens in the wreckage and he looks out his window. His eyes begin to focus on the scenery. Ryan remembers the scene from movies, Tarzan movies. There are long vines hanging down from ghastly looking trees. There is an occasional spot of dry ground, but for the most part, it is swamp. There is a mist in the air, and it is dark under the canopy of cypress and gum trees. Ryan rubbed his face to make it all go away, but it does not go away. Now begins an incredible journey into manhood, one that will take great courage. 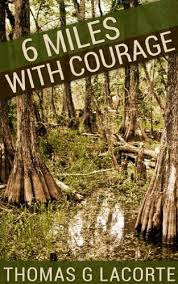 Ryan has but twenty-four hours to walk the 6 miles through the swamp, cross the dangerous Oklawaha River, and bring help to save his father. The question is will he have the courage. If either one of them is to survive he must leave the plane and Rob must instill enough courage into his son to make him believe that he can go the distance. The journey is treacherous, but the most peculiar thing of all is the people that he meets along the way. Who are they? Why do they vanish? Did Ryan survive or not? Benton, Lori. Burning Sky. Colorado Springs, CO: WaterBrook Press. 2013. Captured by Mohawk Indians at the age of fourteen, Willa Obenchain (aka Burning Sky) must learn to adapt to her new way of life to survive with the People. Upon finally returning home several years later, Willa finds many things have changed in her absence including her parents, the family homestead, her dear friends, her own heart, faith in God, and feelings towards “savages” affected by war. Toss into the mix a botanist, a Mohawk brother, Cap the collie, and several other characters and the story only gets more complex and interesting. Wow. As a debut novel, this story was very well done. The imagery of the frontier portrayed was definite and precise (the author was originally an artist), the amount of history knowledge included was impressive, and the story line just kept the pages turning, culminating in an intense finish. I was drawn to this book by the cover, then the back-cover description, and now laud it for the content. Though not an easy and quick read, this novel is definitely worth the time to discover and absorb the entire book. 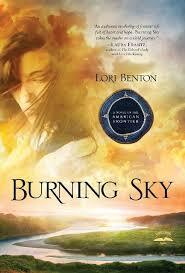 I sincerely hope the author, Lori Benton, is working on another novel already as I will be watching and waiting for it. Brownley, Margaret. Gunpowder Tea. Nashville, TN: Thomas Nelson, 2013. Miranda Hunt disguises herself under the name “Annie Beckman” as she attempts to capture the train robber known as the Phantom. Working for the Pinkerton Detective Agency, Miranda (aka Annie) finds herself on the Last Chance Ranch undercover. Yet, while searching for the Phantom, she uncovers another mysterious figure – Jeremy Taggert who is working undercover as a Wells Fargo detective. Miranda and Jeremy must put aside their professional rivalries in order to capture the Phantom. The opening chapter pulls the reader in due to the humor. However, the novel retains the reader’s attention through careful plotting. Suspension builds carefully until the last page. While the plot contains mystery, it remains a light feature of the novel. The ending comes as a surprise for the readers who chose to not actively engage in the process of revealing the Phantom’s identity. However, for the readers who enjoy a little detective work among the pages of the novel, plenty of clues are provided to allow the reader to solve the crime alongside Miranda. 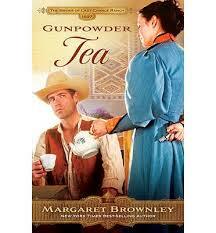 *I received a complimentary copy of Gunpowder Tea from BookSneeze and Thomas Nelson in exchange for my honest review. Carrie Slayton, a journalist stuck in a position of writing the society page, longs to further her career. To have that chance though, she must gain an interview with best-selling author, Finn Dalton. The interview proves to be almost impossible as Finn lives in the remote Alaskan wilderness, refuses to do an interview with the press and plans to keep his bitter past to himself. Throughout the Christmas season, both Carrie and Finn must make decisions regarding careers, family and ultimately their hearts. 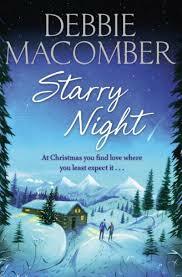 Having read most of Debbie Macomber’s Christmas novels, this book was a must on my reading list. Though not as witty as some of her other seasonal books (Angels at the Table, Mrs. Miracle), this was a delightfully engaging, spirited and feel-good book. 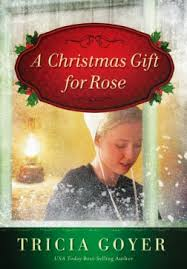 Consider curling up in front of the fire with a warm blanket while you relish the beginning of the Christmas season with this story. Starry Night was perfectly named. 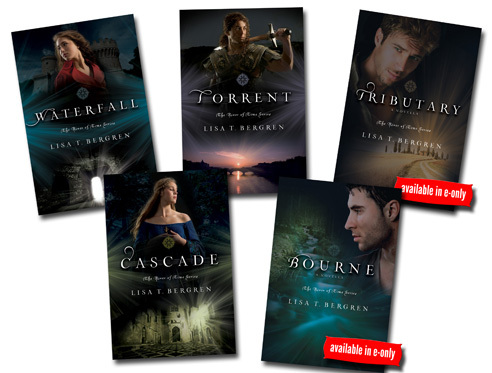 PLEASE WELCOME LISA BERGREN TO SAVURBKS! 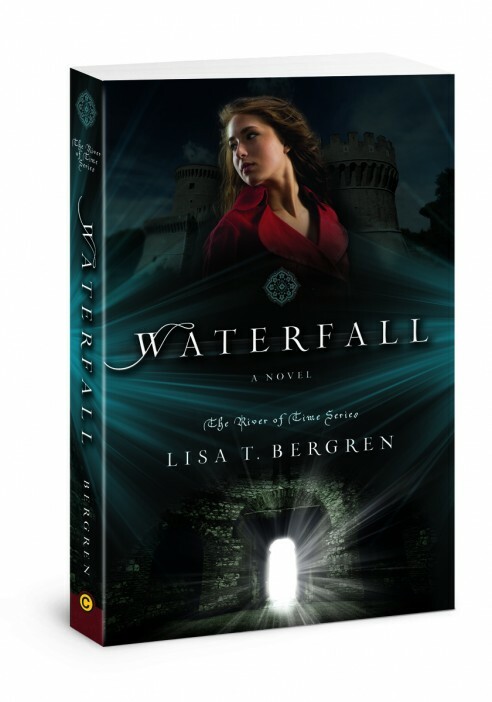 Lisa T. Bergren is the author of over forty books, with over 2.5 million sold. She lives in Colorado Springs with her family, but is constantly dreaming of her next trip to Italy. 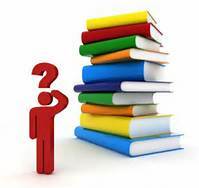 How do you approach Young Adult Novels compared to writing Adult Novels? I have a basic understanding of beginning, middle and end, but much of it evolves. 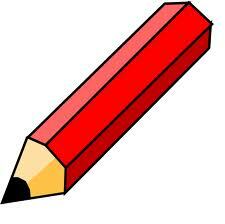 I’m a “pantser” writer–writing by the seat of my pants, rather than an exhaustive outliner. This allows me ultimate creativity and the ability to follow where the characters lead, but it sometimes results in extensive rewrites. 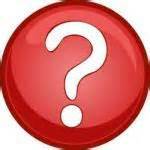 When you write a series, do you have the full series planned out or does the series evolve as you write? How do you choose your novels’ time period? I went with medieval because I wanted to explore that time period pre-Renaissance, when life was more simple and straight-forward, when we were just on the edge of the age of enlightenment. Where do you come up with your initial story idea? I wanted to write a page-turner for my reluctant-reader teen girls. I liked the romance of the Twilight series and the action of the Hunger Games, and I have a passion for history (I always wish I could just pop back to another era for the day to experience what it was like)–so time travel seemed like a good option. Modern girls in ancient Italy, full of gorgeous young men fighting for their lives? It seemed like a good equation and I loved writing it. It really is the most fun I’ve ever had, writing a series. And readers can’t seem to get enough. I’ll publish a fifth novel in the River of Time Series soon. While most American teens would kill for an Italian vacation, the Betarrini sisters have spent every summer of their lives there with their archaeologist parents. And they’re not happy to be back. Stuck on yet another hot, dusty dig, they are bored out of their minds…until they place their hands atop handprints in an ancient tomb and find themselves catapulted into the Fourteenth Century. Gabi emerges in the middle of a dream–or nightmare?–with hot Italian knights in a fierce battle. And so begins her quest to return home…while wondering if she wants to at all. INTERESTED IN OTHER BOOKS IN THE RIVER OF TIME SERIES? Goyer, Tricia. The One Year Book of Amish Peace. 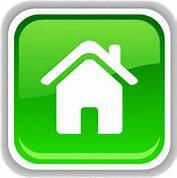 Carol Stream, IL: Tyndale House Publishers, Inc. 2013. Part of “The One Year” series of devotionals, The One Year Book of Amish Peace joins that line. 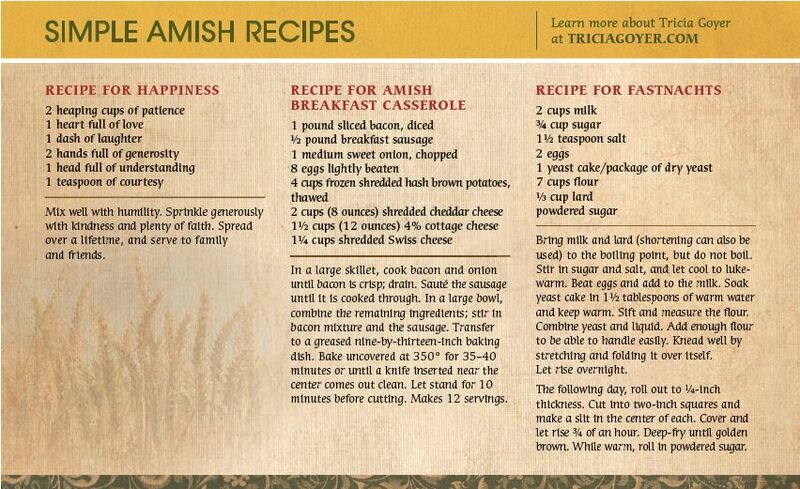 Familiar with the Amish lifestyle, the author, Tricia Goyer, sets each devotional to correlate with Amish living. 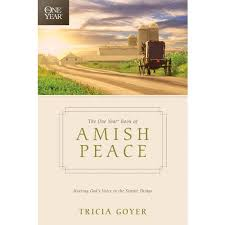 Filled with Bible verses, simpler yet perhaps deeper ways of thinking, along with Amish tidbits and thoughts, The One Year Book of Amish Peace explores God’s world in a different approach. Though I only received a sample of this devotional book, I found it to be thought-provoking in many ways. It seems to focus on the simpler ways of life (taking time with friends and family, helping others, enjoying the many blessings we do have, as well as the “sweets” in life-specifically Whoopie-Pies). Each devotion pairs with an Amish custom followed by a prayer. I appreciated the brevity of each lesson yet enjoyed the deeper connection it allowed. I was also intrigued that it belonged to “The One Year” series of devotionals which I may now consider. 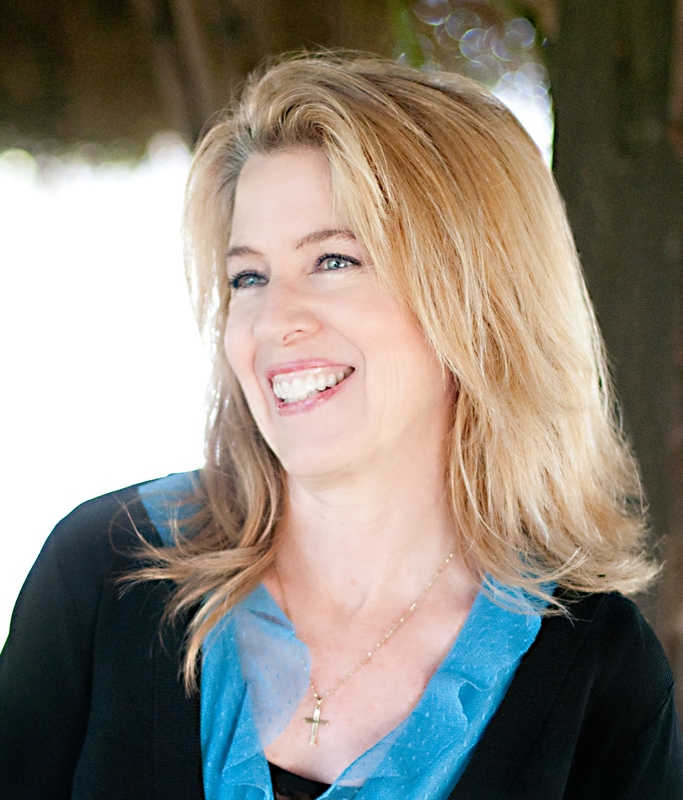 Tricia Goyer has written more than thirty-five books, including both novels that delight and entertain readers and non- fiction titles that offer encouragement and hope. 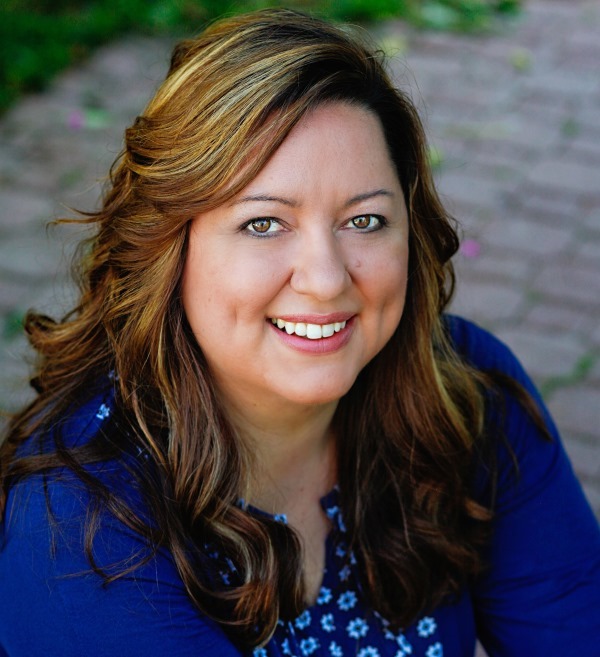 She has also published more than 500 articles in national publications such as Guideposts,Thriving Family, Proverbs 31, and HomeLife Magazine. Goyer’s fiction and non-fiction books have won awards from the American Christian Fiction Writers and Mt. Hermon Writers’ Conference. She is also a two-time Carol Award winner, as well as a Christy and ECPA Award Nominee. 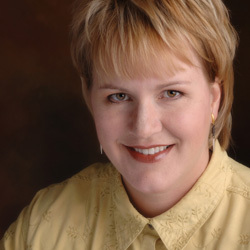 Tricia has authored several books on family and parenting, as well as co-written with Max Lucado and Robin Jones Gunn. She collaborated with Ken Blanchard and Phil Hodges for Lead Your Family Like Jesus, published by Focus on the Family/Tyndale. 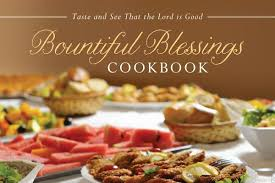 Bountiful Blessings Cookbook. Uhrichsville, OH: Barbour Publishing. 2013. Just in time for fall as well as Thanksgiving, the Bountiful Blessings Cookbook is full of over 700 robust, hearty, comfort recipes guaranteed to fill-you-up yet leaving you satisfied. The recipes range from Appetizers (Hot Spinach Balls) to Breads (Jalapeno Corn Bread) to Breakfasts (Breakfast Granola) to Main Dishes (Chicken Enchilada Casserole) to Vegetables (BBQ Green Beans) to an extended section on Desserts (Lemonade Pie, Easy Jelly roll, Cinnamon Coffee Bars). Containing only a few ingredients, the main emphasis rests on “old-fashioned” and “down-home” cooking. This cookbook is reminiscent of Sunday dinners shared with family. The recipes pair nicely with each other, providing a full menu (with extra dessert-yeah!). Though not overly fancy, the “feel-good” recipes will be perfect for fall days, busy activity-filled days, and unified family meals. The only thing I found missing were pictures of the completed recipes. I am sure my family will thank me once again for reviewing a cookbook! PLEASE WELCOME AUTHOR MARY LU TYNDALL TO SAVURBKS! Mary Lu describes herself as an introvert, patriot, mother of six, the neighborhood cat-lady, tall ship enthusiast, friend of pirates and mermaids, obsessive compulsive control freak, history lover, hopeless romantic, and a sword wielding princess-warrior of the King of Kings. Oh yea, and she’s also a best-selling author of more than 13 novels! How/ why did you decide to use the literary techniques of flash-forward and flash-back in your novel “Forsaken Dreams”? Normally when I’m starting a novel, a particular scene keeps playing over and over in my head. In fact, that scene has usually been filling my thoughts for weeks, even months in advance. I can’t get rid of it! That’s how I know where I want to start my story. 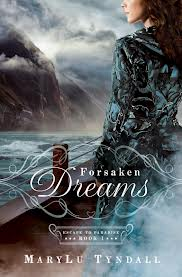 In the case of Forsaken Dreams, I kept seeing this massive storm at sea and all my characters being tossed to and fro on a tiny ship headed for Brazil. It reminded me of Jonah running away from God and God sending this huge storm. Anyway, that’s where I began the story, with a bang! Then, of course, I needed to go back and tell the reader how the characters got in that predicament. It was fun and I hope it didn’t confuse too many readers. If there are any fans of the TV series LOST out there, you know they use this flash-back and forward technique quite well. Of course it’s much easier on TV, but it can be a very effective tool, if used properly, to bring in a character’s backstory. What are your literary influences? Jane Austen, Raphael Sabatini, Baroness Orczy, James Fenimore Cooper, Georgette Heyer…to name a few. Excellent authors who wrote adventurous novels you can’t put down! As you can tell, I love the classics. What was your favorite book to write? Why? The Redemption, my first novel. It was my favorite to write for a number of reasons. One, because I wrote it without any expectation of it ever getting published. I had no deadline, no editor to please, no reader anticipation, no pressure. It was (and is) a story right from my heart, a reflection of my own life’s struggles to find a father’s unconditional love. Besides, it was just plain fun to write a story about a Christian pirate! What tips do you have for overcoming writer’s block? Music always does it for me. Long walks, petting my cats, watching a good movie. Basically just step away from the computer and clear your mind. Do something else that relaxes you, and the words will come. You’d be surprised how many breakthroughs I have while soaking in a hot tub full of bubbles. Colonel Blake Wallace has seen enough death to last a lifetime. Weary and disillusioned, he slumps beneath the weight of defeat and loss. With his entire family murdered by the North and his name appearing on a list of officers wanted for war crimes, Blake organizes a shipload of southerners who, like him, long to escape the horrors of war and start a new life in a verdant land called Brazil. Eliza Crawford can barely remember the days of her youth spent in opulence and comfort at her Georgian home. She can’t help but wonder how different her life would be had she not met her late husband, Stanton Watts, a general in the Northern army. Now a war widow, Eliza is rejected by both North and South. 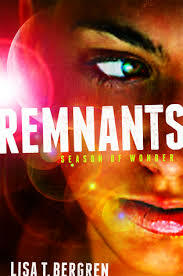 Desperate to keep her marriage a secret and escape her past and pain, she longs to start over again in Brazil. But once the voyage begins, troubles abound. Dangers at sea and enemies from within threaten to keep Blake and Eliza from the new life—and love—they long for. Rene Gutteridge and Ward, John. Heart of the Country. Tyndale House Publishers. 2013. Born into a very wealthy, dynamic, business-minded family, Luke Carraday has it all and lives life to the fullest. Faith Kramer, a native of rural North Carolina with a loving widower father, a beautiful voice and lots of emotional baggage, flees to New York. When the Luke and Faith meet, things just seem to click and they live a “fairytale” life…until Luke is involved in a Wall-Street based Ponzi scheme which turns their world upside down. Both Prodigals must face their deepest fears, greatest losses, and innermost emotions while facing struggles within their own families. Heart of the Country deals with many matters of the heart while leaving and ultimately finding home. Though usually not one to “devour” my books, this was a novel which kept me engaged to the finish. Creatively and successfully written from multiple first-person points of view, the characters were intensely charged. Based on the parable of the Prodigal Son, Heart of the Country depicts it in a very real-life way. Interestingly, John Ward (Enchanted), wrote the screenplay first and Rene Gutteridge (Ultimate Gift) then wrote the novel. Both authors obviously are passionate about their characters, story lines and Christian-based approach according to the Questions and Answers included at the end. Having read the novel, I definitely will watch the movie and read/ watch more books/ movies from these authors/ screenwriters. McCall, Stephanie. Fiery Secrets. USA: HopeSprings Books. 2013. Dr. Grace Taylor, a pediatrician and single mom, needs to recover from situations and consequences from her past. Her young son, Jacob, struggles with his own problems. Add Chris Anderson, a teacher/ tutor with his own set of distresses along with other involved characters to a blossoming relationship as trust, hope, healing and a possible future ensue, and Fiery Secrets starts to really heat-up (pun intended).